Because of that, it’s important to be aware of your paint’s condition, keeping close tabs on whether or not touch-ups or a full exterior repaint are in order. 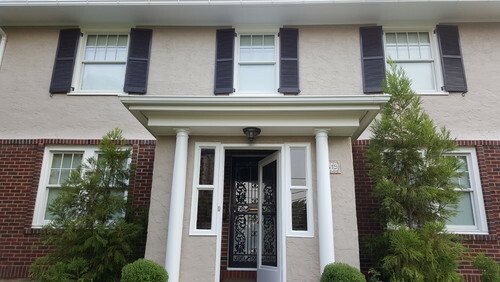 Is It Time for a Little Exterior House Painting? Photo by AG Williams Painting Company Inc.
Spider Cracks – Have you ever dropped an egg on the counter? If it didn’t totally explode into a yoky, high-protein mess, it probably fractured just a bit, creating a spider-like point of impact. Your exterior paint will do the same thing as it weakens and cracks. This is essentially a call for help. Peeling – Not only is it an unsightly problem, but it also means that your exterior paint has reached the end of the line. The door is open to damage from the elements, including moisture, and you certainly need to call in a professional painting company. Fading Exterior Color – High-quality paint hangs onto its color for much longer than a cheaper alternative, but fading will eventually occur, and especially on the sides of your home that are most directly impacted by the sun. Wood Rot – Soft sections of decay absolutely have to be addressed. Rot will only continue to spread into healthy wood fibers, creating a larger and larger problem. Proactive wood repair and replacement is key. And, of course, you can top it all off with primer and paint to seal the repair. Water Stains – Continuous exposure to moisture will create discoloration. Routine care, inspections, and touch-ups is the most cost-effective way to prevent widespread damage and decay. Letting siding and paint fall into disrepair before a total overhaul is a little like rebuilding your car’s engine rather than simply changing the oil. If you live in Westchester County, NY, or Fairfield County, CT, we hope you will contact us at A.G. Williams Painting Company. It would be our pleasure to address your home’s needs, and put together a practical plan for protecting and enhancing your property year round. 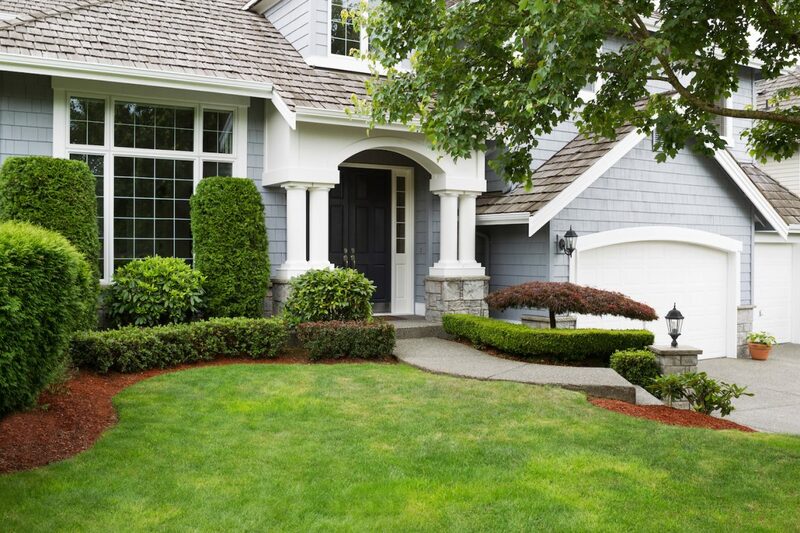 Why Is Quality Exterior Paint Vital for Your House Painting Project? It’s interesting that peeling can be a common problem in residential homes. My home’s paint has started to peel and it looks really bad in comparison to my neighbors’ homes. I’ll have to have mine painted as to not sacrifice the look or durability of the home’s exterior and interior.